NZ Poetry Slam 2018 National Final - in Christchurch! It's been years in the coming (is that even a thing?) 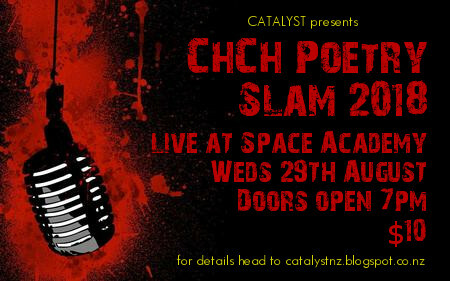 but finally the NZ Poetry Slam is about to have it's grand final in the South Island. Last year's champion Daisy Speaks (Daisy Lavea-Timo) broke the stranglehold of the north on the title of NZ Slam Champion and now she's helping to bring the event itself to Ōtautahi/Christchurch. 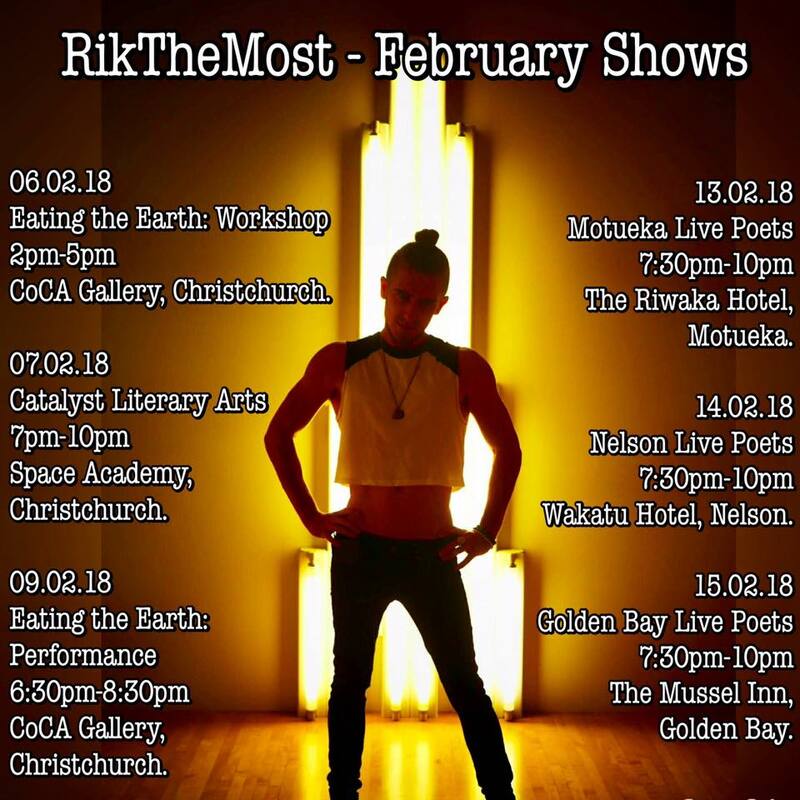 Just another milestone in the remarkable renaissance of spoken word in Christchurch and nationally over the last 15 years. Today's the day, if you're in Christchurch get along to see the best of this year's regional slam champs battle it out on the mic for the national title. Local two-time champion Ray Shipley will lead a three person challenge from Ōtautahi including Barrett Rob and Troy Buckland. The venue is the pretty much brand new Haeata Community Campus auditorium in Aranui. 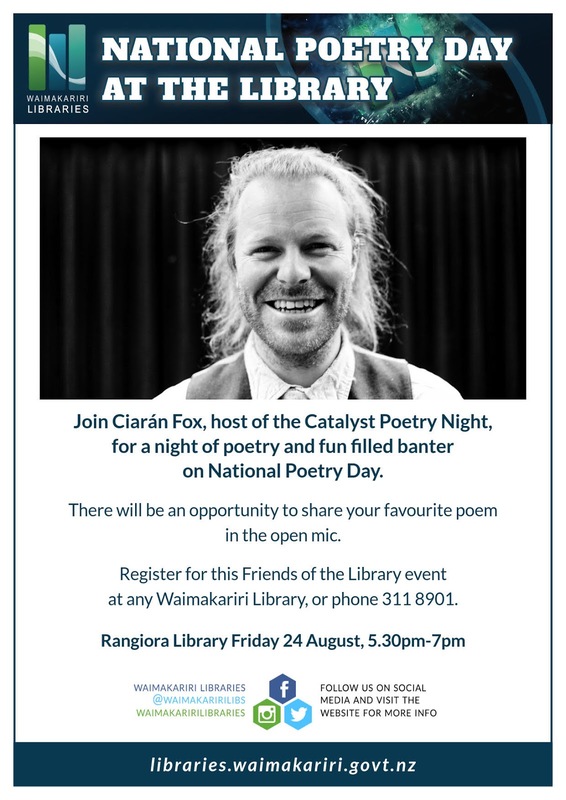 What a pleasure to be invited to read and host an open mic at Rangiora Library for New Zealand National Poetry Day. An enthusiastic group of readers came to share poetry and a cuppa. Some even brought costumes and props. We even gave a sneak preview of the new Catalyst volume 15 ahead of the official launch this week as part of WORD Christchurch in the New Regent Street Pop-Up Festival. Many thanks to Waimakariri Libraries for the opportunity. Sign-up is on the night only - places are limited to 12 participants so get there early. As always, remember: the point is the poetry not the points! For the first time ever, we're proud to present the Christchurch Poetry Slam as part of WORD Christchurch, the bi-annual literary festival for readers, writers and the bi-curious. 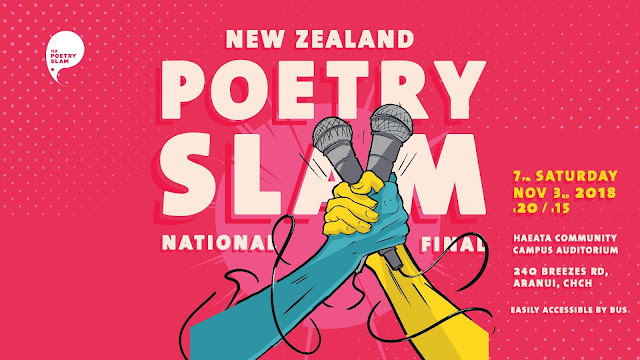 One of the biggest events on the Christchurch literary calendar, the Slam is going to be even bigger this year due to its inclusion in the festival programme and the interest generated from last year's champion Daisy Speaks going on to take out the NZ Poetry Slam in Hamilton. There's even more on the line here as the NZ Poetry Slam will this year be hosted in Christchurch, so the 2018 ChCh champ gets to take home crowd advantage for the first time ever. 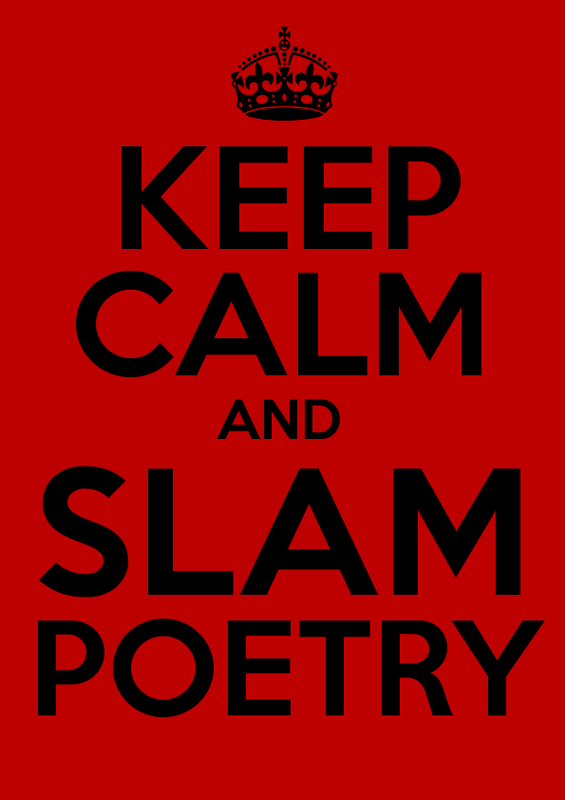 The Christchurch Poetry Slam 2018 will be hosted by the ever-irreverent Ciaran Fox, Slam Master (an honorary title if ever there was one) and featuring a special guest performance by NZ Slam impresario and one of the world's great performance poets Carrie Rudzinski. 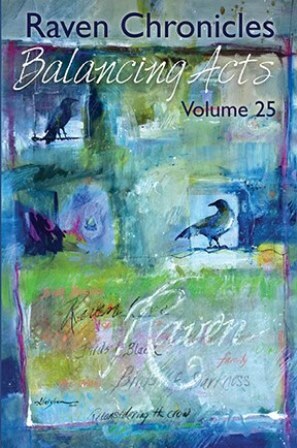 Pitting poet against poet, newcomer vs old-timer, it's poetry but not as you know it. (Unless you've been to one before...) The audience judges and the challenge to the poets is to connect, communicate and cut through. Door sales only and this event will likely sell out so don't be late, either as audience or poet. Doors open and sign-up starts at 7pm. There is a limit of 12 slammers, first in, best dressed. The official NZ Poetry Slam rules are here.